Search Engine Optimization is one thing that is so common, yet so mysterious at the same time. It is common, because everyone is talking about it on a daily basis. It is mysterious, because it is constantly changing. The principles governing SEO are not stagnant. There are new things being added to Google, Bing and other search engines to make the user experience friendlier. By making these changes, the search engines force websites to change some of their characteristics in order for them to rank favorably. This is why you need to always be up to date as to what is happening on the SEO front. While you are in the business of being up to date with the goings-on in the world of SEO, you should conduct an audit every once in a while. The thought of conducting an SEO audit is a bit scary to some people, but it does not have to be so. An SEO audit is not a financial audit that will take you several hours or even days to complete. It all depends on how deep you would like to go with your audit. However, don’t forget that you can actually conduct an SEO audit within five minutes. 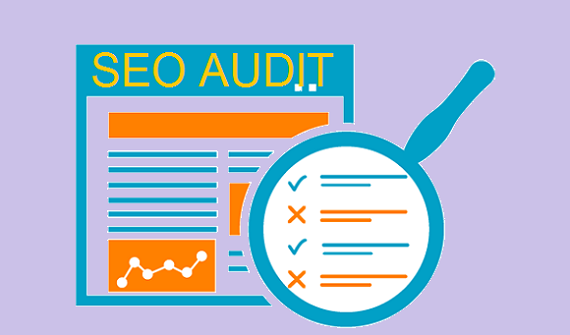 Why carry out an SEO audit? You have probably attended some SEO events and seen the sessions where experts conduct live site reviews and present the owner of the site with recommendations for its betterment. An SEO agency or a consultant should be able to quickly assess a site without much of a hassle. You should not be so concerned if it takes you fifteen minutes to carry out your review. This is one of those tasks which take a little practice to become acquainted with. If you want to do a full audit, then you will have to look at very many things. This article assumes that you have no access to webmaster and analytic tools. With that said, here is how you do a five-minute SEO audit. 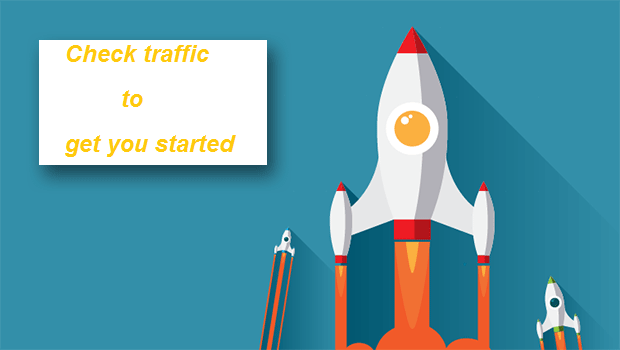 The first thing that you need to do is to get a traffic overview. Pay a visit to the likes of SEMRush and run a search for the root domain. This is one of the tools that you can use for this work, and it does not require you to create an account or to login. You will be provided with a graph containing PPC and organic traffic. The graph will also give you the five top keywords and five top competitors who are giving you a run for your money. There is also a pie chart availed to you, representing various sources of traffic to your site. Traffic data that you will need to be looking out for includes things like: how much search volume is there? You need to know how often people are searching your site. Secondly, it is also important to check the fluctuation of the traffic; is traffic increasing, decreasing or has it stagnated somewhere? The keywords that are bringing in the largest traffic are very important. These are the keywords that you will use to create more content for your site. The next thing that you should find out concerns the appearance of your site on the search engine results pages (SERPs). Generally, what you need to do is run a search of the brand name and a search for the brand name together with a location. If your brand is popping up and ranking in the first position, then it is really doing well. It also helps to check whether there are site links. A site that is performing well will always have great links. You do not want your site to be linked to a spam site, because this would affect your SEO ranking significantly. This is one thing that many people tend to focus heavily upon. The general appearance of the site will determine whether the site is going to perform as you would like it to or not. There are significant things like the color of the website you need to pay attention to. You should choose a color scheme that is going to work for the kind of business you are running. Bright colors tend to be too exciting and jovial; hence, they do not work so well for professional sites (the site of a law firm or financial blog). In other words, the colors that you would use on a restaurant website are not the same ones that you should use when you are creating a Fortune 500 company’s website. Check the content that is on the page that you are planning to optimize. Does the content come off as authoritative or is it just something to fill the webpage? You can use something like the Moz SEO toolbar to check out the general appearance of a page. The content of a webpage can affect it significantly when it comes to ranking. When conducting an SEO audit on content, you should check whether the navigation of the page is logical. Check the design of the site and also try to figure out whether it is possible to make the user experience even friendlier than it already is. There are some pieces of information that some sites lack: the about page, contact, private policy and terms of service along with content relating to the business operations. Make sure that your site does have them. If you pay attention to these factors, then you will be able to get a decent and comprehensive SEO audit. With only these factors being put into serious consideration, you can discover tons of features that require modification. It is more like the daily cleaning that you do in your home as you wait for spring to arrive so that you can do a major cleaning. This audit will help your site stay above the rest while at the same time allowing you the time to create fresh content for your site. Vinod Jethwani is the CEO and Founder of Walnut Solutions and he helps web based companies with his SEO strategies to grow their revenue. He started his career in 2007 as a software developer with an Indian based MNC and later in 2011 became an entrepreneur. Follow him on Twitter @VinodJethwani or through his blog.